An explanation may be in order. I loved the graphic flowers and the idea of the black sentiment inside a circle surrounded by colour. So I took it a step further and put each letter (Kelly Purkey Plain Jane) in its own lifesaver-circle. This idea did not come to me all at once - it evolved over time. It is much easier to see how Virginia's card inspired my first attempt at this challenge (Hero Arts sentiment). I have not shown you the 27 (I didn't actually count, but that's probably not far off) in-between steps that now fill my recycling bin! Love how you see things, and that you share it with us! Well of course, there IS black text surrounded by color. And that's exactly what you've done. In a perfectly "Ardyth" way! Twice! It's also nice to hear of someone else's recycle bin overflowing : ) Love your stickles around the edges on your second one. How on earth do you keep them from warping?!? They look razor sharp. Amazing. Both your cards are beautiful. And, it is helpful and interesting to see your process. You are such a prolific maker of beautiful projects--it seems like it must be effortless for you. The first card is so YOU. Thank you for saying that you try many times before you end up with a final project you post. I don't usually scrap (recycle) cards because I don't put them together unless I'm satisfied with all the pieces first (and it helps that I'm not a stamper. Gorgeous cards Ardyth, love the designs of them both. Two pretty designs with the circles of colors Ardyth! 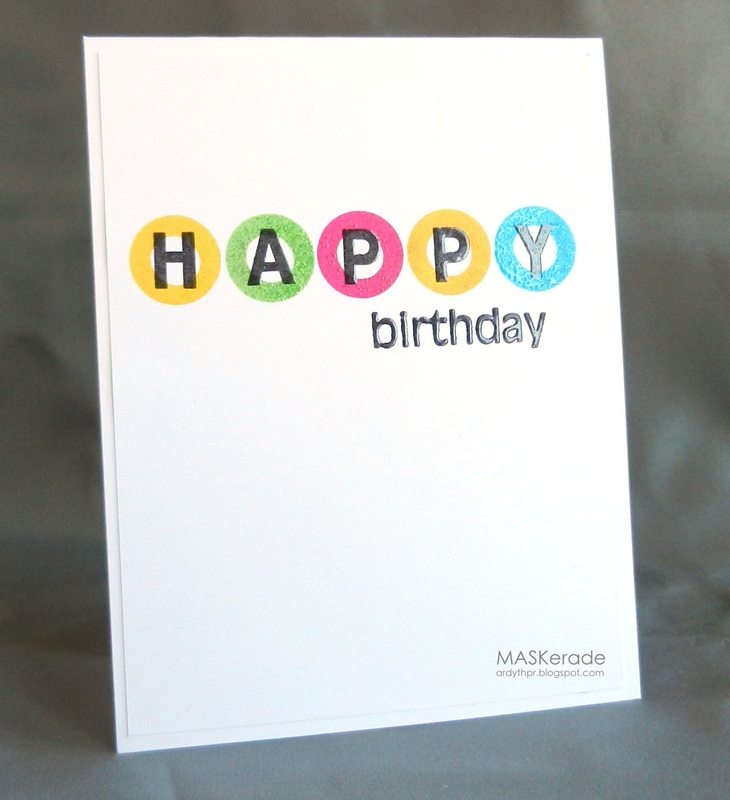 Sometimes it does take a long time to get a card design out - other times it practically falls together! They are both fabulous CAS designs. And thanks for sharing your story of how the final one came to be... very creative and fun. I'll echo the others: beautiful cards, both! And most definitely "in the style of Ardyth" - bright, eye-catching, creative, colourful and, above all, delightful! I'm still trying to convince myself that 'colour kissed' stamps are okay! Not getting very far, hence all the fussy-cutting (plus, doing so has 'therapy value'). I so appreciate your warm comments on my blog; your words just add to my motivation to carry on. Thank you ever so much! I love how you made the giant leap (or several tiny steps!) from flowers to lifesavers! both are beautiful cards! Love how you kept it CAS! Love your clever lifesavers!! And, love knowing that you actually throw away some of your attempts while crafting!! Your lifesaver letters are definitely some mighty fine eye candy!!! 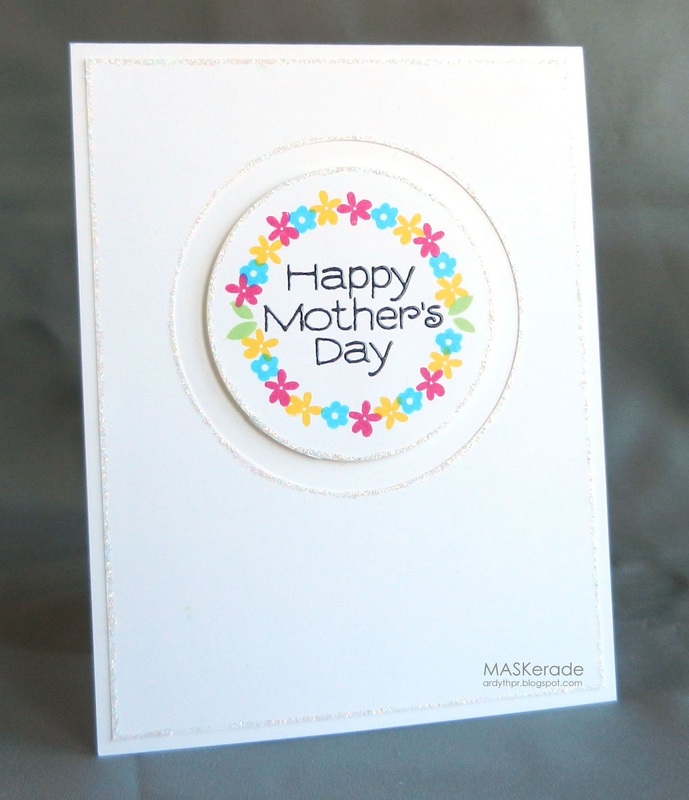 You have captured a heart warming feeling with your Mother's Day card. Although the colors are similar (if not the same) as the lifesaver card, the presentation changes everything! Beautiful stickled border! both of your cards are just so fun and sweet! I am in love with your Mother's Day card, just perfect! A fantastic CASE of Virginia's MUSE card, Ardy - actually both of them are! It was very interesting to read the evolution and how your creative mind works!! Well even though it may have taken a bit for you to come up with your card idea...it's fabulous -- but then again I think ALL your cards are wonderful little pieces of Art!! Thanks for sharing and thanks so much for the kind comments you leave on my blog!! 2 happy cards! You're use of the MUSE inspiration is always so fun to see--very creative! Both of these Re awesome! I love to see two such different cards come from the same inspiration. And ditto to what Kelly G said - how do you get your Stickles lines so crisp?